The ONE10SPORT Football Academy bridges the gap between being an amateur player and realising the dream of becoming a professional. The Football Academy prides itself on professional coaching, which is a direct result of only employing highly qualified coaching staff, all of whom have relevant sporting degrees, as well as being accredited or mentored according to Scottish FA best practices. The importance of quality coaching, positive reinforcement, an encouraging environment and proven training techniques cannot be emphasised enough and this is what puts ONE10SPORT on the front foot of football development across all ages. 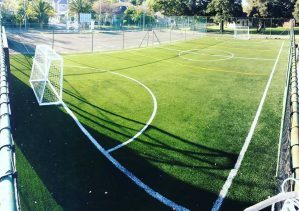 We are Cape Town based, in the beautiful and sort after area of Claremont and we look forward to welcoming your aspiring players to our academy. All players of all skill levels are encouraged to enrol and we will ensure that your child/children are placed in an environment and team that suits their specific development stage. ONE10SPORT Football Academy is a positive and happy place for coaches, players and parents and we are always looking to grow our family.